When the weather gets worse, commuting to work or running errands can turn into a serious risk to your safety. The MTA is responsible for maintaining all property they own and operate, from trains cars and platforms to bus stops. If ice, snow, and puddles are allowed to accumulate, you could face serious injuries if you slip and fall. After an injury, it may seem like there is nothing to do – that a large company like the MTA will not care about your injuries, and that thousands of others must have been injured as well. When medical bills begin to accumulate, and your injuries keep you from work, your injury is too serious to let the MTA get away with their negligence. Talk to an attorney about your options for filing a lawsuit against the MTA. 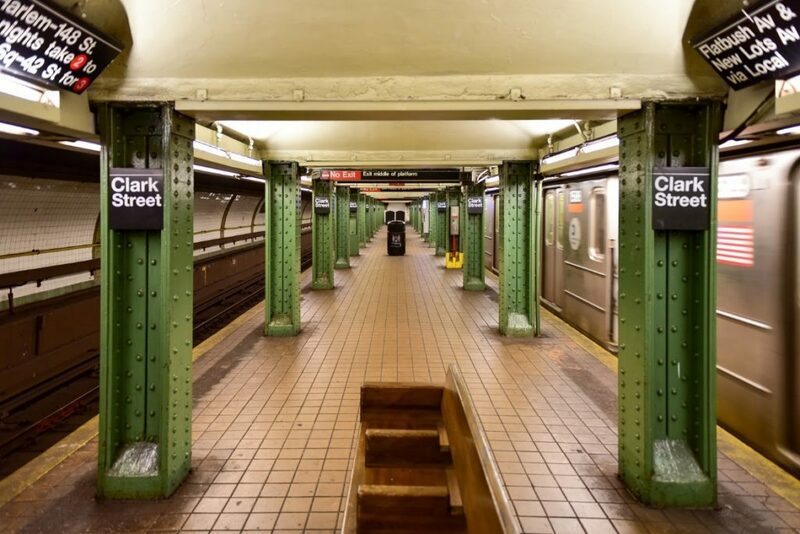 For a free consultation on your case, contact the New York MTA slip and fall lawyers at Sullivan & Galleshaw, LLP today by calling (877) 311-HURT. Slipping and falling is a hazard for any travelers, but the risks are worse if there is uncleared ice, snow, or puddles on the platform. Any property owner in New York has a duty to keep the premises safe for guests, and when the MTA does not take the proper steps to ensure safety, people often get hurt. When you slip and fall, your body is not usually ready for it. Some people have good enough reflexes or training that they can catch themselves or fall safely, but there is no expectation that the average person will avoid injury. How you fall often dictates what types of injuries you will receive. If you try to brace yourselves with your arms, you will often face bruising or even broken bones in your arms. Falling onto your back may cause significant injuries to your back and spine, including the possibility of a broken tailbone, slipped discs, fractured vertebrae, and other serious injuries. Falling on your side can mean injuring your collar bone, ribs, and other fragile bones. Older adults are prone to more significant injuries. Your bones are more brittle as you age, and you may suffer serious injuries. Broken hips/pelvises are common injuries that elderly individuals suffer, and they can cause serious complications, keep victims in bed, and require surgery and rehabilitation for recovery. If you were already injured or you suffer from a physical handicap, it may be more difficult to maintain your footing or prevent injury. The MTA is responsible for allowing handicap accessibility, and can be held responsible for your injuries, even if you were already injured or infirm. Falling in any direction can mean striking your head against the ground or another hard surface. This can cause concussions or a more serious injury: TBI (traumatic brain injury). TBI can gravely affect your life, causing significant memory problems, cognitive issues, motor control issues, and other serious results. Especially with these kinds of injuries, you may be entitled to significant compensation for your injuries. You suffered damages the court can compensate you for. If you fell and suffered injuries because of something the MTA should have done a better job to repair, a court may hold them responsible and order them to pay you for your injuries. The duty that the MTA owes may require them to take measures to remove snow and de-ice surfaces, but in some cases, warning you of the danger may be sufficient. Signs that warn that the floor is wet are intended to help keep people alert and safe, but are not always effective enough. Always talk to an attorney about the specific circumstances of your case. If you or a loved one suffered injuries in a slip and fall on MTA property, talk to an attorney about your case. A personal injury lawyer may be able to file your case, help collect evidence, and take the MTA to court. Ultimately, you may be entitled to compensation to cover your medical bills, lost wages, and any pain and suffering you faced. For a free consultation on your case, contact Sullivan and Galleshaw today at (877) 311-HURT.